The new ProTeam Tour coming to Colorado in August 2011 will include the four American based teams Team RadioShack, HTC-Highroad, BMC Racing Team, Garmin-Cervelo, and the Italian team Liquigas-Cannondale. Ivan Basso is on Liquigas-Cannondale! 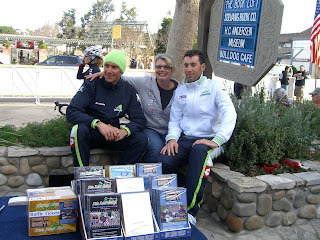 I am a fan of Ivan Basso, this will be fun, I sure hope Basso comes to Colorado. But rosters will not be announced until most likely after the Tour de France in July, so we will have to wait and see.